Traveling aboard a cruise ship allows you to see so much with very little effort, but sometimes it can be hard to decide what to see and do when stopping at a port. Oftentimes, you’re on a very limited amount of time, and it can be overwhelming deciding how to spend it. Amy Ferrell, travel agent, recommends buying a ticket for a hop on/hop off tour bus in the major cities you visit. “If you know what you especially want to see, you can get off at that stop and get back on there or elsewhere; or you can ride around learning from the headphone information, then the next time around get off someplace which interests you,” says Ferrell. Not only do the buses allow for easy transportation, but you can also learn a fair amount about the destination from the audio recordings. 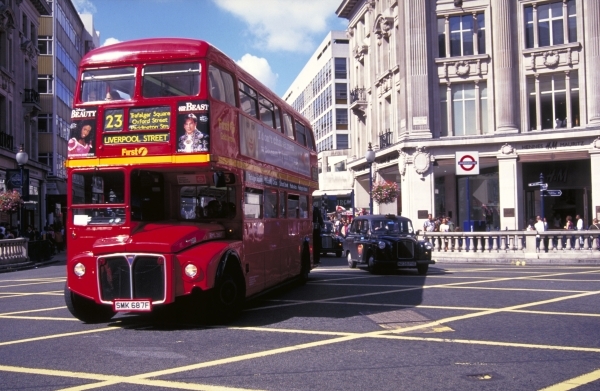 Many of the buses are double-decker with open-air tops to make sightseeing a snap. When planning a bus tour, it’s wise to reserve in advance. You can find out if tours are available through the city’s tourism website, by searching “Hop On/Hop Off” together with your destination name via a search engine, or through an operator such as Viator. Expect to spend anywhere from $10 to $50, depending on the city and company. Once you have your ticket, you can typically ride for 24 hours or more, getting on and off at your leisure.